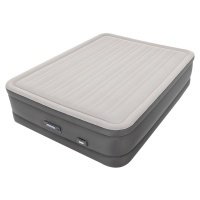 The most advanced airbed technology. 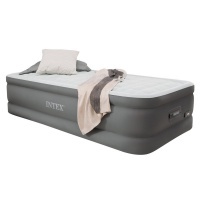 Intex Premaire High Rise Airbeds with Built-in Electric Pumps. Intex brings you a new level of luxury and innovation with this new airbed featuring Fiber-Tech technology. Built with Intex's patented Fiber-Tech Technology, these PremAire beds offer superb structural stability and support. 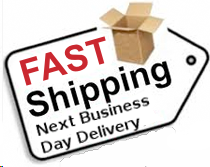 The high strength fibres provide an interior with amazing durability and unmatched comfort. The exterior of the beds is made of laminated PVC to provide a high quality puncture resistant surface. Each mattress is covered in a pillow top that creates air pockets that cause air to flow smoothly and gradually across the surface for an unparalleled sleeping experience. The bed's elevated height makes it easier to get in and out of each morning. 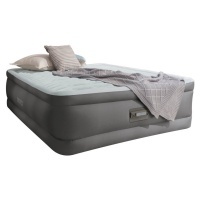 For extra convenience, these beds come with powerfull built-in electric pumps for fast inflation and deflation. These new PremAire mattresses offer the perfect combination of luxurious comfort and best-in-class durability.